The Future Rises! The new World Museum nears completion, and the futuristic black block of glassy hard angles here reflected in the winter sunlight. The old icon of Liverpool is in the background, the Liver Building. 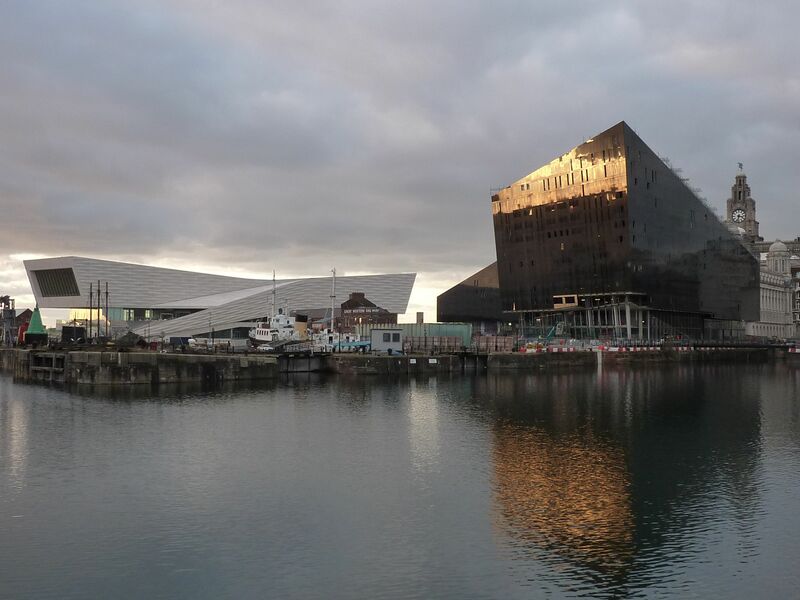 The Liverpool waterfront has changed, is changing dramatically, in our own lifetime, in the space of a few years. The past and the future are mixed, we are caught between. 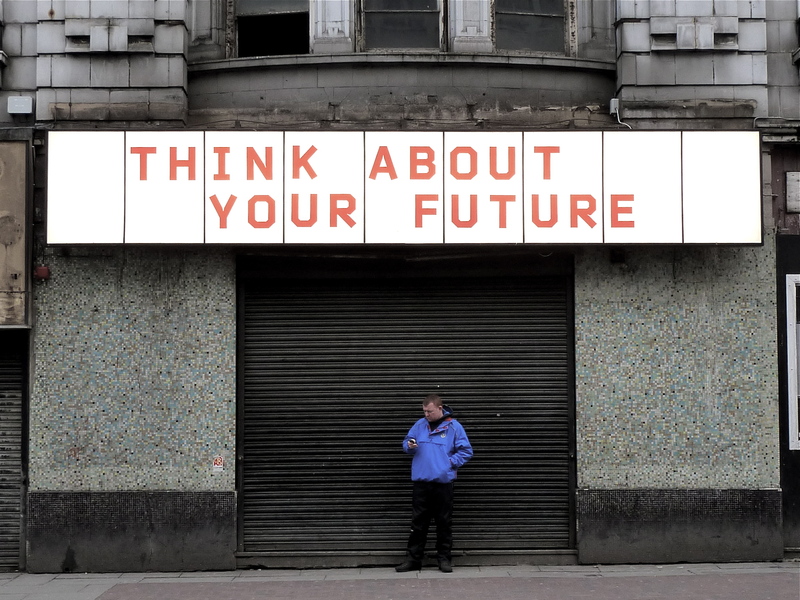 Below, standing under a sign about the Future, a product of the Liverpool Biennial Arts events, and ironically on the facade of the ruined Futurist cinema, a man, half in light and half in darkness, making connections on a phone, (one of us actually!) introduces a human element to the flow of history.